It first aired in 1966, and we've harbored a sentimental place in our hearts for it every year as it airs during Halloween season. The Peanuts gang continues to give us a refreshingly innocent look at daily life as a child, and the characters continue to resonate even in the years after creator Charles Schulz's passing. 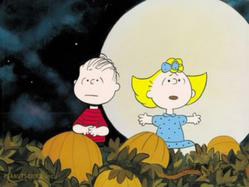 You've seen it countless times, but how well do you know It's the Great Pumpkin, Charlie Brown?